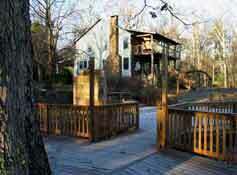 For a romantic Mentone, Alabama getaway at its finest -- welcome to Mountain Grove at Cloudland Bed and Breakfast. High atop Lookout Mountain in a setting of seclusion and natural beauty, Mountain Grove is just 5 minutes from Mentone, 1.5 scenic hours from Atlanta, Birmingham and Huntsville, and only three hours from Nashville. Built in 1919 and renovated in 2000, this five bedroom country inn has forest vistas and mountain charm as well as modern conveniences. Come to Mountain Grove for a relaxing and gracious nearby vacation--away from it all in spirit but only a short drive from home and just minutes from Mentone, state parks, fine restuarants, and all mountain activities. Perfect for romantic getaways, weddings, reunions, corporate meetings, church retreats, private parties, or workshops. 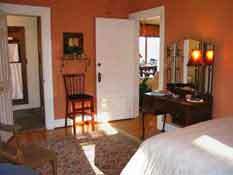 You can rent one room or the entire estate, exclusively yours. 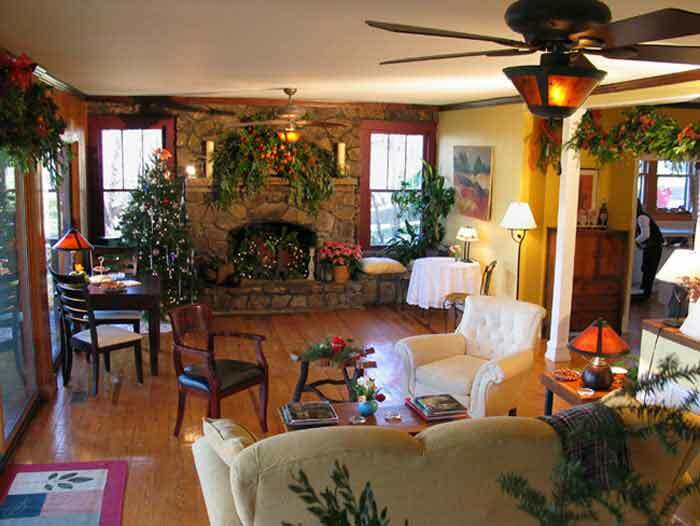 This Lookout Mountain inn is private and secluded, on several acres, in a tranquil, elegant atmosphere. Your amenities include high speed wireless internet, both an indoor and outdoor fireplace, as well as porches, gardens, and private balconies. A full, delicious, home-cooked country breakfast is always included. Come for a getaway: to relax, renew, romance or rest. Come for a beautiful country drive, 1.5 hours from Atlanta or Birmingham. Come for an elegant and unforgettable party or gathering. You will enjoy all of the many natural wonders just minutes away: Little River Canyon National Preserve, Sequoia Caverns, Cloudland Canyon State Park and DeSoto Falls. 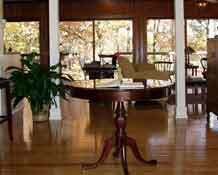 We look forward to the pleasure of your company at Mountain Grove.